Andrew Keim is a Violin Maker, Artist, and Craftsman living in Burlington, Vermont. Trained as an artist and woodworker, he now makes violins, and violin cases, full-time. 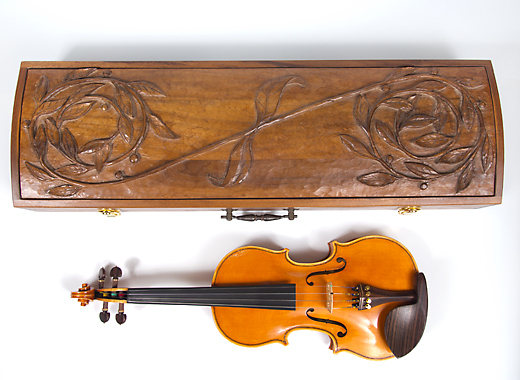 This website showcases samples of his violins, drawings, carvings, and woodworking.